HTML5 and CSS3 are the new techniques which are considered as the future of web development. 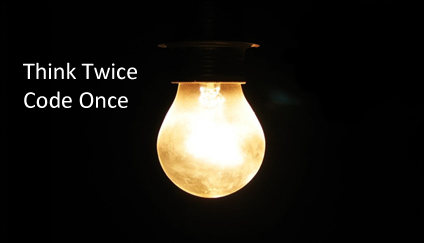 However, you don’t have to wait to start using them for your web development. Because, even though the specification is still in development, most contemporary browsers and mobile devices already support these techniques. Gone are the days when adding additional markup just to design a button in a different way or stripe tables. Now, you have to learn how to use HTML5 and CSS3 new markup to create a better structure for your website content and also better interfaces for your forms. 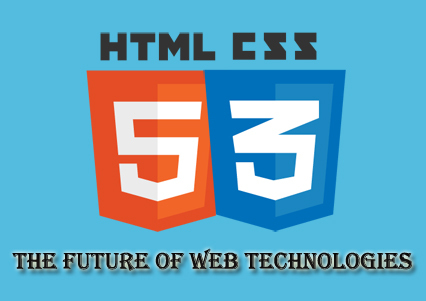 Using HTML5 and CSS3, you can able to embed audio, video and vector graphics into your web pages without using Flash. You can find how web sockets, cross-document messaging, client-side storage, and offline caching can make your modern web development easy, also you can discover how CSS3 makes it into style sections of your web page. You will get a clear idea about both the developing solutions that are backwards compatible and accessible. HTML5 is the most recent version of Hypertext Markup Language or HTML. This technology is currently supported by only a few numbers of browsers, hoping to see more in usage by the next year. However, the features that are available now are a best possible way to become acquainted with HTML5 and add some fantastic elements to your website. To avoid many bugs and crashes, refuse to allow Flash on the iOS and also learn how to use the more intricate features of HTML5 to develop apps and iOS-friendly websites. As Google is rolling out an HTML5-friendly version of YouTube, many web and mobile app developers have started to see how important this technique will become in the near future. Every browser may support various features of HTML5 that makes it mandatory for those interested in programming to figure out which features they require and which will be supported by various different browsers. • HTML5 provides an outstanding support to both audio and visual. As soon as all browsers support HTML5, you can be able to easily add audio and video to your website without the need of other plugins. • Using HTML5, you can easily edit the content of your website. Use the attribute “contenteditable” to effortlessly change your content on your website. To do this, just add contenteditable=“true” to any element. • You can use the canvas element to bypass Photoshop in order to make your 2D images and directly add them in your code. • The application cache allows you to easily navigate web applications, even though you are offline. • HTML5 gives you more flexibility when creating your website. • As HTML5 generally implements Web sockets. Hence, it will load much faster than its older version. • Using HTML5, you can create universal applications for all mobile devices. Therefore, mobile phone applications will become much more accessible if they are written in HTML5. • Audio, video and images are all effortlessly written perfectly into the code. This eliminates the need for any other third-party software like Flash. • HTML5 is growing more rapidly and this will be resulted in a number of features that will leave traditional websites looking outdated. • As HTML5 is generally built on HTML4, the old markup can able to stay in place as you develop the new features. • Both HTML5 and CSS3 together will provide some great designer credibility. CSS3 or Cascading Style Sheet 3 is a style sheet language that specifies style formatting, such as color, font, size and layout, for websites. This technique is mostly used in HTML pages. However, unlike HTML, CSS mainly focuses on the design and style of a website rather than its content. The main purpose of using CSS is to make changes on every page on a website without rewriting the code. CSS3 provides many exciting new features that help you to enhance the appearance of a website. Using CSS3, you can able to improve the functionality and appearance of your website exponentially. • Using CSS3, you can easily create a shadow around an element by using the same code, and also be able to change the color, position, and blur of that shadow. • Rounded corners appear more user-friendly than square boxes. Using CSS3, you can apply this effect to HTML elements. • Just like normal text, you can be able to add a shadow to HTML text that can be highlighted. Using CSS3, you can change the shadow blur, the shadow angle, and the shadow color in CSS. • The property “opacity” can make elements more transparent. You can set the opacity of an image in an image editor and then save it with transparency enabled. • With CSS3, you can create gradients right in the browser as soon as you load the web page. In fact, there is no high demand of innovation that CSS3 was developed, however, the possibilities that CSS3 could be able to provide for us. Before CSS3 has been introduced, web designers can able to create CSS to meet the expected result using images and markup. But, now, with CSS3, they can be able to create the same effects as layout images and extra markup with less effort and more dynamics. This not only helps in making changes easily, but also decreases the size of a web page with less number of images. Hence, the combination of both HTML5 and CSS3 are very powerful and can create incredible, high-quality solutions. So, it is mandatory for you to learn them and start using them from today, otherwise you will fall behind your competitors. What important technical details should a programmer consider before making the website live? As a web developer or programmer, you need to concentrate on some vital technical information before making your website live. The foremost thing that you need to concentrate on is using an appropriate platform for your web development. You need to make sure that the platform you’re going to use for developing the website must be stable, secure, high-performing and scalable. Also, it must meet all kinds of business goals such as less cost, quick development time, high Google ranking, and so on. Before using any web standards, ensure that which web standards you are going to use, and also ensure that in what circumstances and why you are going to use those standards. So, what important technical details you should consider before make your website live? Make sure that your website works reasonably well across all major browsers, because sometimes browsers implement standards inconsistently. Also, consider how browsers render your website in various operating systems, and how people might use the website other than from major browsers. Ensure that you deploy updates on the websites without affecting the users. Have staging environments(one or more tests) available to implement changes on the websites, such as modifying architecture, adding content, changing code, etc., and ensure that they are deployed carefully without affecting anything else in the website. So, always have an automated way of deploying changes to the live website. Never display unfriendly errors straight away to the users of the website. Also, never provide the user’s email ID in plain text as it may get spammed to death. Learn how doing progressive enhancement, which helps you to deliver the best possible experience to the users. Always REDIRECT after a POST if it was done successfully. This helps you to prevent a refresh from submitting again. Make sure that you take accessibility into account without fail. Because, in certain situation, it is a legal requirement. Aware about Injections like SQL injection, and learn how to prevent them. You have to use hash passwords to prevent rainbow attacks. Use SSL/HTTPS for pages like login pages or the pages where sensitive data is entered. Avoid cross site scripting (XSS) and cross site request forgeries (CSRF). Also, prevent session hijacking and Clickjacking. Implement caching if necessary. To do this, you have to use HTTP caching and HTML5 Manifest properly. Learn how to deflate content and optimize images in the website. To reduce the number of browser connections, try to compress duplications among files by improving gzip ability. For performance profiling, use Google page speed with browser extension. This helps to optimize images in the website. You can use CSS Image Sprites for small related images like toolbars. Reduce the number of HTTP requests that are required for a browser to render the web page. Always remember that SEO or Search Engine Optimization plays a greater role in generating traffic to your website. So, make sure that you use search engine friendly URLs in your website. Make sure that you install Google analytics tool or an open source analysis tool right at the start. You can also use Google Webmaster Tools and Bing Webmaster Tools to get a detailed report about the visibility of your web pages on Google and Bing. Never forget to have an XML sitemap in the website. This helps you to tell Google about pages on your website. Use XHTML/HTML and CSS according to the W3C specifications and also ensure that they authenticate. To load frameworks, consider using a service like Google Libraries API. This makes a browser to use a copy of the framework it has already cached instead of downloading a duplicate copy from your website. Always set up a better error reporting solution, and document how the application works. Also, make frequent backups and make sure that the backups are functional. Use a version control system that helps you to store your files. Also, never forget to do your acceptance testing. Ensure that you have enough logging in place using frameworks. When logging, make sure that you capture both handled exceptions as well as unhandled exceptions. And analyze the log output regularly to find out the key issues in your website. Author K2B SolutionsPosted on March 14, 2014 Categories Web Application DevelopmentTags hire web developer, web developer, web developer ideas, web development, web development ideas, web development india, web development project ideas, web development toolsLeave a comment on What important technical details should a programmer consider before making the website live?